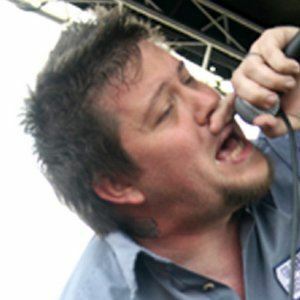 Vocalist known for being the lead singer of the Christian rock band 12 Stones. They're known for the albums Potter's Field and Beneath the Scars, both of which were top 10 Christian albums. He met the rest of the band in Louisiana, where they formed in 2000. They released their eponymous debut album in 2002. After serving as a vocalist for the band's first 12 years, he took over rhythm guitar duties as well in 2012. He was born in Mississippi but bounced around Louisiana growing up. He got married in 2004 and had a daughter a year later. He sang with Amy Lee on Evanescence's 2003 hit song "Bring Me To Life."